Fixed Dome Network with 3 Axis design and built in IR Illuminators. Sleek, Clean design able to blend into your application environments. Brickcom Corporation is a leading network video manufacturer in the IP surveillance industry. Dedicated to providing the best IP surveillance solutions, the company is strategically located worldwide to provide prompt quality service. Brickcom has a solid foundation in engineering quality network video equipment wiht a Research and Dvelopment Department that has been producing wireless broadband networking equipment for over twenty years. Brickcom is focused on becoming the world's leading provider of network surveillance solutions. 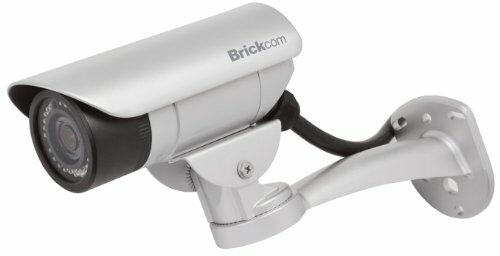 By providing a "One Stop Shop" for all network video security needs, Brickcom technology combines the know-how of broadband wireless networking, optical image processing, and networking surveillance to launch state-of-the-art surveillance solutions with unlimited worldwide applications. 3 Megapixel Vandal Dome in a mini dome form factor. Wide Camera Angle Adjustment with Pan 35 degrees, Tilt 0-90 degrees, Rotation 180 degrees. IP66 rated, affordable high performance with great features such as SD Card support, Power over Ethernet. Brickcom Corporation is a leading network video manufacturer in the IP surveillance industry. Dedicated to providing the best IP surveillance solutions, the company is strategically located worldwide to provide prompt quality service. Brickcom has a solid foundation in engineering quality network video equipment wiht a Research and Dvelopment Department that has been producing wireless broadband networking equipment for over twenty years. Brickcom is focused on becoming the world's leading provider of network surveillance solutions. 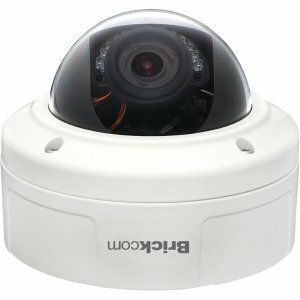 By providing a "One Stop Shop" for all network video security needs, Brickcom technology combines the know-how of broadband wireless networking, optical image processing, and networking surveillance to launch state-of-the-art surveillance solutions with unlimited worldwide applications. 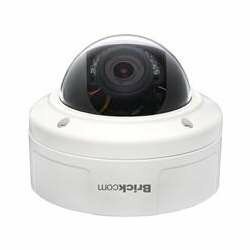 Wireless Outdoor Megapixel Bullet Network Camera. IP66 rated. Vandal proof bullet casing. Weatherproof sealed with night vision results in a robust, sturdy, reliable, and streamlined security camera you can depend on. Perfect for parking lot, schools, recreational, residential, and building surveillance. Brickcom Corporation is a leading network video manufacturer in the IP surveillance industry. Dedicated to providing the best IP surveillance solutions, the company is strategically located worldwide to provide prompt quality service. Brickcom has a solid foundation in engineering quality network video equipment with a Research and Development Department that has been producing wireless broadband networking equipment for over twenty years. Brickcom is focused on becoming the world's leading provider of network surveillance solutions. By providing a "One Stop Shop" for all network video security needs, Brickcom technology combines the know-how of broadband wireless networking, optical image processing, and networking surveillance to launch state-of-the-art surveillance solutions with unlimited worldwide applications. 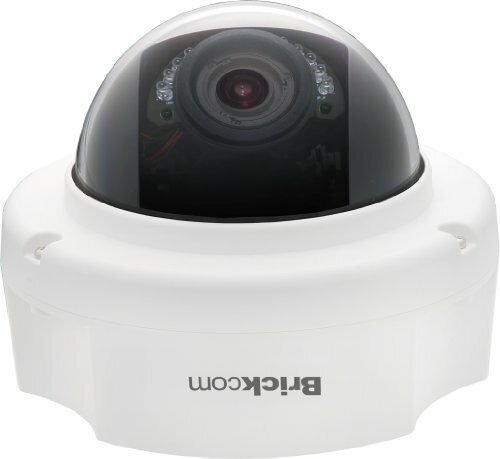 Superior Lowlight Performance Vandal Dome, IP 67 rated, 3 Axis Design, Power Over Ethernet, and many more features. Capture objects with better detail then ever using the exceptional Exmore sensor coupled with Brickcom technology. Beautiful, sleek, simple design blends into your application enviornents easily. Brickcom Corporation is a leading network video manufacturer in the IP surveillance industry. Dedicated to providing the best IP surveillance solutions, the company is strategically located worldwide to provide prompt quality service. Brickcom has a solid foundation in engineering quality network video equipment wiht a Research and Dvelopment Department that has been producing wireless broadband networking equipment for over twenty years. Brickcom is focused on becoming the world's leading provider of network surveillance solutions. 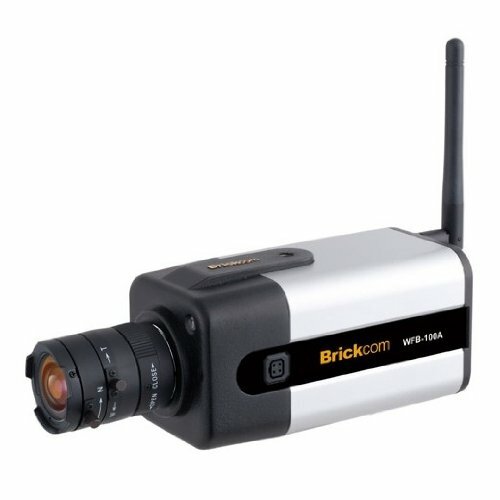 By providing a "One Stop Shop" for all network video security needs, Brickcom technology combines the know-how of broadband wireless networking, optical image processing, and networking surveillance to launch state-of-the-art surveillance solutions with unlimited worldwide applications. Wireless, Superior Extreme Lowlight Performance Vandal Outdoor Bullet, IP 67 rated, Power Over Ethernet, and many more features. Capture objects with better detail then ever using the exceptional Exmore sensor coupled with Brickcom technology. Beautiful, sleek, simple design blends into your application enviornents easily. Weatherproof sealed with night vision results in a robust, sturdy, reliable, and streamlined security camera you can depend on. Perfect for parking lot, schools, recreational, residential, and building surveillance. Brickcom Corporation is a leading network video manufacturer in the IP surveillance industry. Dedicated to providing the best IP surveillance solutions, the company is strategically located worldwide to provide prompt quality service. Brickcom has a solid foundation in engineering quality network video equipment wiht a Research and Dvelopment Department that has been producing wireless broadband networking equipment for over twenty years. Brickcom is focused on becoming the world's leading provider of network surveillance solutions. 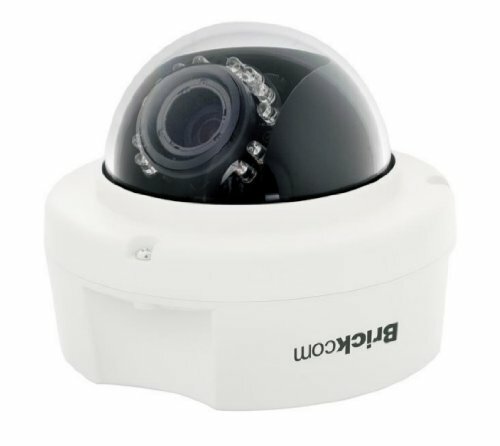 By providing a "One Stop Shop" for all network video security needs, Brickcom technology combines the know-how of broadband wireless networking, optical image processing, and networking surveillance to launch state-of-the-art surveillance solutions with unlimited worldwide applications. Wireless 3 Megapixel Mini Box camera featured packed with IR Cut Filter for Superor Night Vision, Multi Profile Sensor Management for different environments, Dual band Wireless Connectivity, WPS support, Edge recording (SD Card Slot), and Illumination LED. Brickcom Corporation is a leading network video manufacturer in the IP surveillance industry. Dedicated to providing the best IP surveillance solutions, the company is strategically located worldwide to provide prompt quality service. Brickcom has a solid foundation in engineering quality network video equipment wiht a Research and Dvelopment Department that has been producing wireless broadband networking equipment for over twenty years. Brickcom is focused on becoming the world's leading provider of network surveillance solutions. By providing a "One Stop Shop" for all network video security needs, Brickcom technology combines the know-how of broadband wireless networking, optical image processing, and networking surveillance to launch state-of-the-art surveillance solutions with unlimited worldwide applications. Superior Extreme Lowlight Performance Vandal Outdoor Bullet, IP 67 rated, Power Over Ethernet, and many more features. Capture objects with better detail then ever using the exceptional Exmore sensor coupled with Brickcom technology. Beautiful, sleek, simple design blends into your application environments easily. Weatherproof sealed with night vision results in a robust, sturdy, reliable, and streamlined security camera you can depend on. Perfect for parking lot, schools, recreational, residential, and building surveillance. Brickcom Corporation is a leading network video manufacturer in the IP surveillance industry. Dedicated to providing the best IP surveillance solutions, the company is strategically located worldwide to provide prompt quality service. Brickcom has a solid foundation in engineering quality network video equipment with a Research and Development Department that has been producing wireless broadband networking equipment for over twenty years. Brickcom is focused on becoming the world's leading provider of network surveillance solutions. 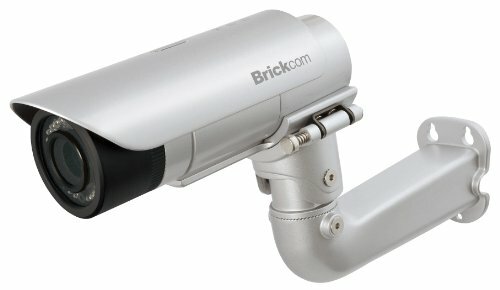 By providing a "One Stop Shop" for all network video security needs, Brickcom technology combines the know-how of broadband wireless networking, optical image processing, and networking surveillance to launch state-of-the-art surveillance solutions with unlimited worldwide applications. 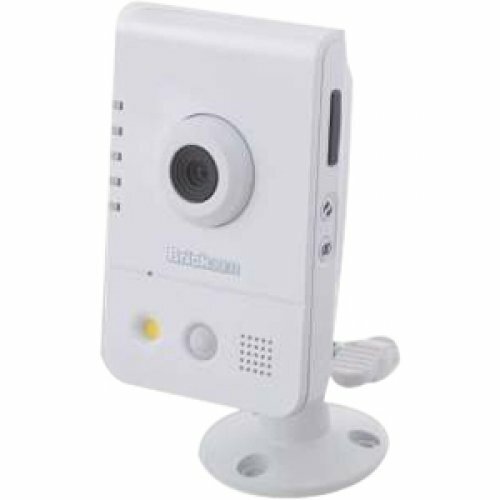 Wireless 1.3 Mini Box camera featured packed with IR Cut Filter for Superor Night Vision, Multi Profile Sensor Management for different environments, Dual band Wireless Connectivity, WPS support, Edge recording (SD Card Slot), and Illumination LED. Brickcom Corporation is a leading network video manufacturer in the IP surveillance industry. Dedicated to providing the best IP surveillance solutions, the company is strategically located worldwide to provide prompt quality service. 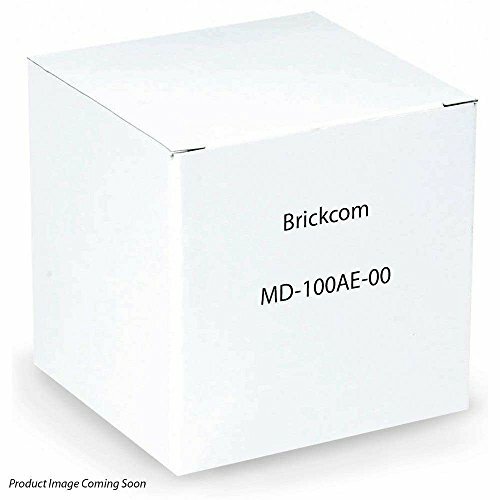 Brickcom has a solid foundation in engineering quality network video equipment wiht a Research and Dvelopment Department that has been producing wireless broadband networking equipment for over twenty years. Brickcom is focused on becoming the world's leading provider of network surveillance solutions. By providing a "One Stop Shop" for all network video security needs, Brickcom technology combines the know-how of broadband wireless networking, optical image processing, and networking surveillance to launch state-of-the-art surveillance solutions with unlimited worldwide applications. Wireless, Fixed Box Network camera allows you the flexibility to use any CS Mount lens of your choosing to monitor based on your application requirements. Brickcom Corporation is a leading network video manufacturer in the IP surveillance industry. Dedicated to providing the best IP surveillance solutions, the company is strategically located worldwide to provide prompt quality service. Brickcom has a solid foundation in engineering quality network video equipment wiht a Research and Dvelopment Department that has been producing wireless broadband networking equipment for over twenty years. Brickcom is focused on becoming the world's leading provider of network surveillance solutions. By providing a "One Stop Shop" for all network video security needs, Brickcom technology combines the know-how of broadband wireless networking, optical image processing, and networking surveillance to launch state-of-the-art surveillance solutions with unlimited worldwide applications. Wireless, Compact, Streamline design with added features such as Passive Infrared for Body Temperature detection, WPS for easy Wifi Setup, Built-in Mic and Speaker, Built in SD Card slot, Triple Codec Compression and 802.11a/b/g/n Wireless connectivity. Brickcom Corporation is a leading network video manufacturer in the IP surveillance industry. Dedicated to providing the best IP surveillance solutions, the company is strategically located worldwide to provide prompt quality service. Brickcom has a solid foundation in engineering quality network video equipment wiht a Research and Dvelopment Department that has been producing wireless broadband networking equipment for over twenty years. Brickcom is focused on becoming the world's leading provider of network surveillance solutions. 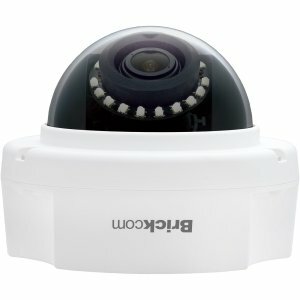 By providing a "One Stop Shop" for all network video security needs, Brickcom technology combines the know-how of broadband wireless networking, optical image processing, and networking surveillance to launch state-of-the-art surveillance solutions with unlimited worldwide applications. Wireless, Compact, Streamline design allows this Cube Sized camera to fit into many applications such as Residential, SOHO, SMB. Brickcom Corporation is a leading network video manufacturer in the IP surveillance industry. Dedicated to providing the best IP surveillance solutions, the company is strategically located worldwide to provide prompt quality service. Brickcom has a solid foundation in engineering quality network video equipment wiht a Research and Dvelopment Department that has been producing wireless broadband networking equipment for over twenty years. Brickcom is focused on becoming the world's leading provider of network surveillance solutions. By providing a "One Stop Shop" for all network video security needs, Brickcom technology combines the know-how of broadband wireless networking, optical image processing, and networking surveillance to launch state-of-the-art surveillance solutions with unlimited worldwide applications. Superior Lowlight Performance Fixed Dome, 3 Axis Design, Power Over Ethernet, and many more features. Capture objects with better detail then ever using the exceptional Exmore sensor coupled with Brickcom technology. Beautiful, sleek, simple design blends into your application enviornents easily. Brickcom Corporation is a leading network video manufacturer in the IP surveillance industry. Dedicated to providing the best IP surveillance solutions, the company is strategically located worldwide to provide prompt quality service. Brickcom has a solid foundation in engineering quality network video equipment wiht a Research and Dvelopment Department that has been producing wireless broadband networking equipment for over twenty years. Brickcom is focused on becoming the world's leading provider of network surveillance solutions. By providing a "One Stop Shop" for all network video security needs, Brickcom technology combines the know-how of broadband wireless networking, optical image processing, and networking surveillance to launch state-of-the-art surveillance solutions with unlimited worldwide applications. 5 Megapixel Video Resolution for residences, small businesses, offices, hospitalities, and medical applications. 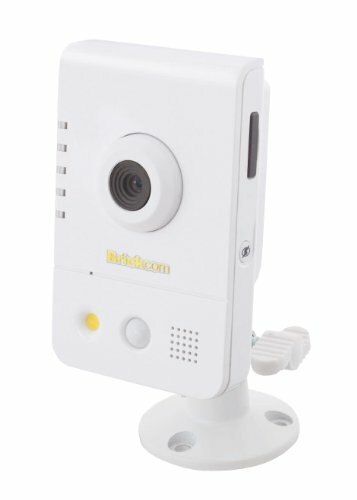 Unlike a general webcam, this camera series is a standalone surveillance system that does not need to be connected to a computer. Brickcom Corporation is a leading network video manufacturer in the IP surveillance industry. Dedicated to providing the best IP surveillance solutions, the company is strategically located worldwide to provide prompt quality service. Brickcom has a solid foundation in engineering quality network video equipment with a Research and Development Department that has been producing wireless broadband networking equipment for over twenty years. Brickcom is focused on becoming the world's leading provider of network surveillance solutions. 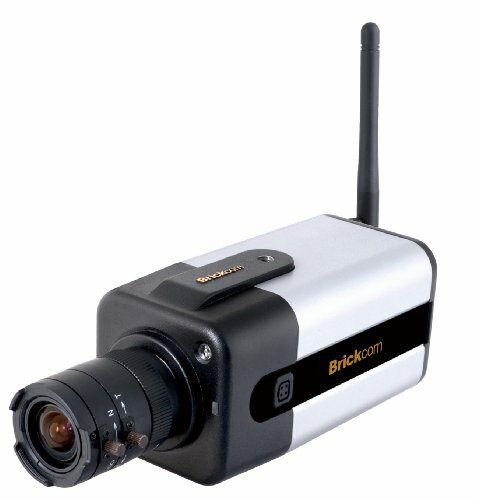 By providing a "One Stop Shop" for all network video security needs, Brickcom technology combines the know-how of broadband wireless networking, optical image processing, and networking surveillance to launch state-of-the-art surveillance solutions with unlimited worldwide applications.